On August 21, 2017, the US witnessed one of nature’s most awe-inspiring events: a total solar eclipse. In fact, it was the first time totality was visible only in the US since 1776. Scientists and sky-watchers alike were paying special attention to the heavens as the “eclipse of the century” crossed the country from coast to coast. That’s why Ideum was pleased to work with the Space Sciences Laboratory at UC Berkeley to create Eclipse Megamovie Mobile. 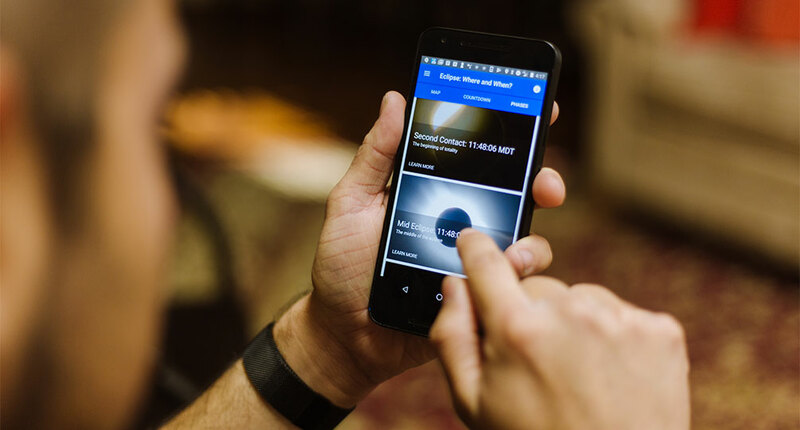 Designed for the general public and the scientific community and available for both iOS and Android platforms, the app provided a variety of ways for people to see and study the eclipse, take stunning photographs as the moon blotted out the sun, and share images and data with scientists. 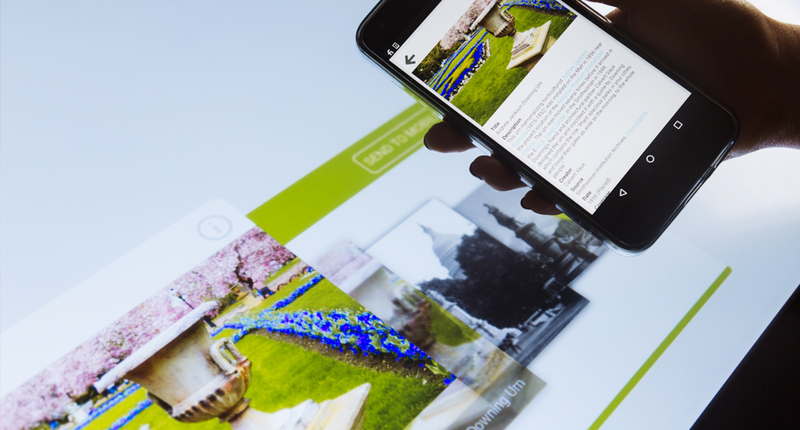 Megamovie Mobile’s key features were designed to help people use their smartphones to take great photos of this once-in-a-lifetime event. Taking good astronomical photos requires a steady hand and precise exposure control. The app actually took control of the phone’s camera shutter and exposure settings and shot a series of images to capture the entire eclipse. 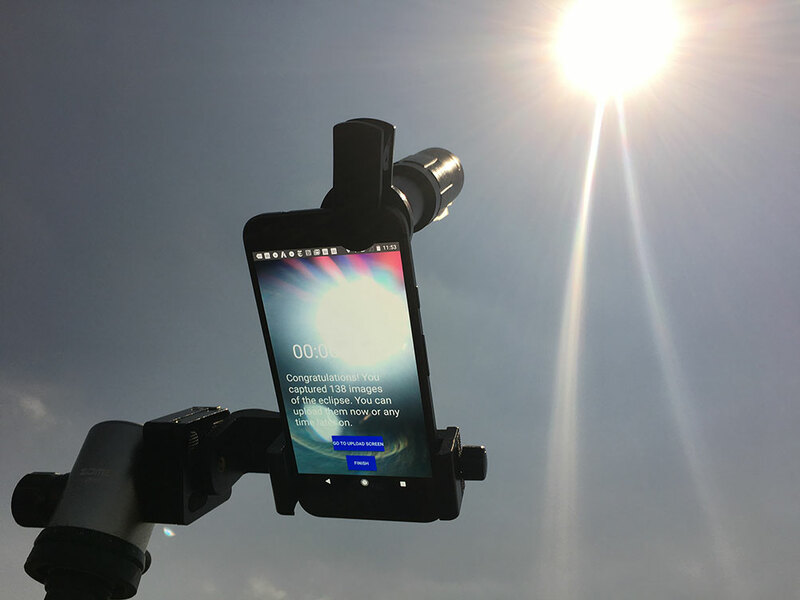 It used the phone’s built-in technology—compass, accelerometer, and gyroscope—to help users point their phones at the precise spot in the sky where totality would be visible, and also included a built-in Practice Mode to let users take test shots of the sun or moon. And it guided users through setting up a tripod, adding an external lens (which we recommended to maximize image size), and shooting the eclipse with a DSLR. 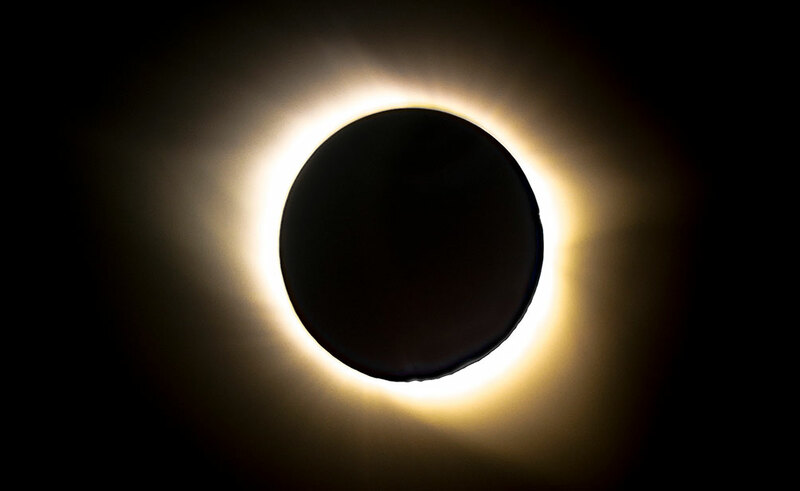 The app also provided information about the eclipse’s path of totality, the narrow strip of territory where the sun’s disk was completely obscured by the moon. An easy-to-use map showed the eclipse’s path across the country and the user’s quickest route to it. 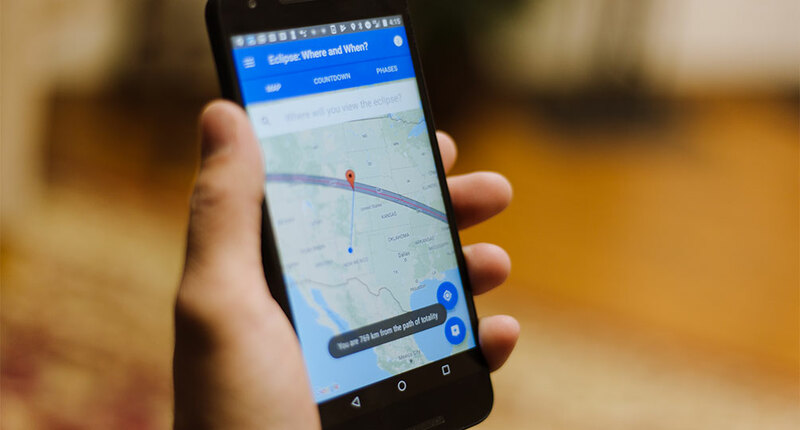 And a reminder function and precise countdown clock keyed to the user’s location helped users plan their eclipse expeditions. In the weeks leading up to the eclipse, Megamovie Mobile was cited in a wide spectrum of publications, including Scientific American, Nature, Sky & Telescope, Popular Science, Newsweek, the Atlantic, the Wall Street Journal, and the New York Times. The app was downloaded more than 60,000 times, and users ultimately contributed thousands of photos totaling 210 GB of eclipse imagery (including photos from Ideum’s onsite team in western Nebraska). Scientists are now poring through these images to learn more about the sun’s magnetic field, size, and corona, the super-hot halo of gases visible only during totality. Megamovie Mobile joined researchers and the public in an innovative collaboration to investigate the science and wonder of one of nature’s great spectacles. Eclipse Megamovie Mobile stands as a powerful example of the power of new partnerships—and new ideas. 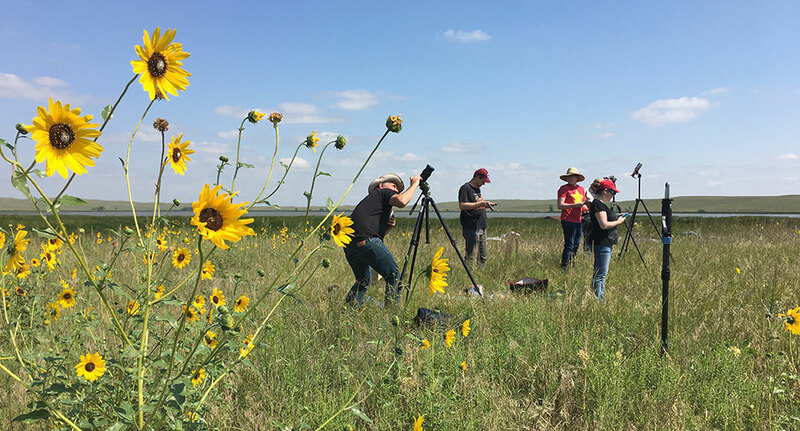 The Eclipse Megamovie Mobile team onsite in Nebraska. A view of totality captured by the Megamovie Mobile app. Capturing a sharp view of the eclipse with a tripod and external lens. 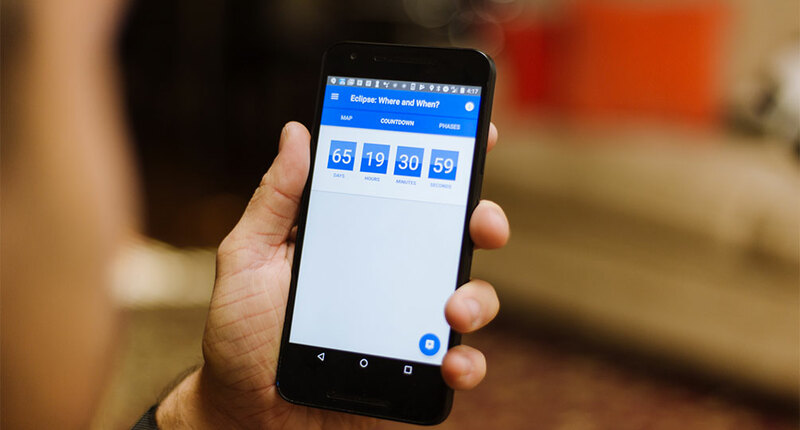 The app calculates the user's distance from the path of totality. Countdown clock ticks down to the beginning of the eclipse. 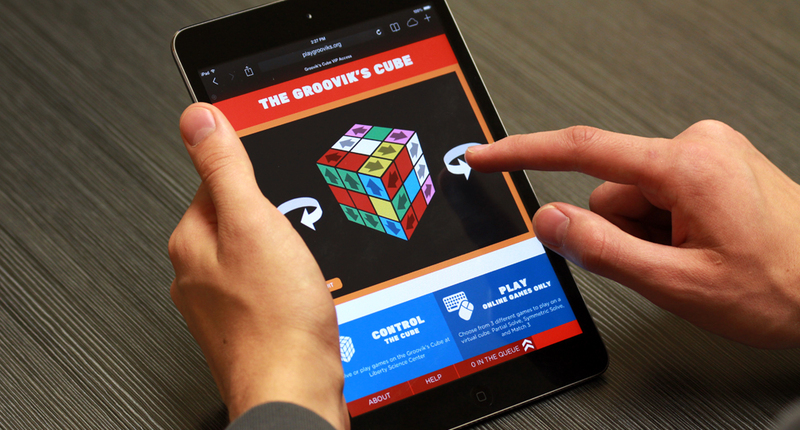 Megamovie Mobile provides information about each phase of the event.